I gotta say...that is one BOLD blog post....what if Mr. Mills is innocent? This is from a report by the ACC Police. 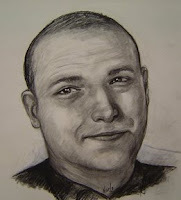 To clarify, Mills has been identified by police as the suspect in the sketch. The police department has now said that the van driver was a different person. The speculation of a link was made in news stories but never explicitly stated by the police.